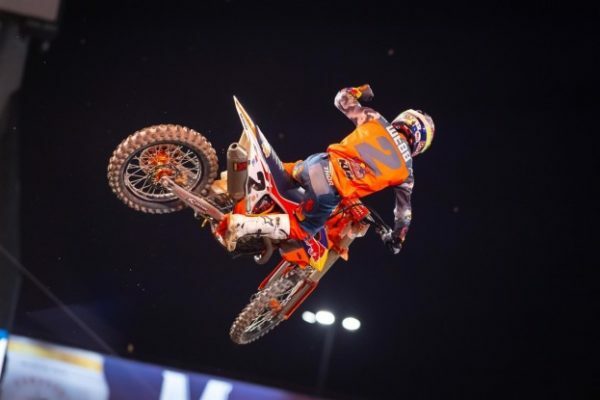 Cooper Webb and KTM are the current man and bike to beat in 2019 AMA Supercross season. 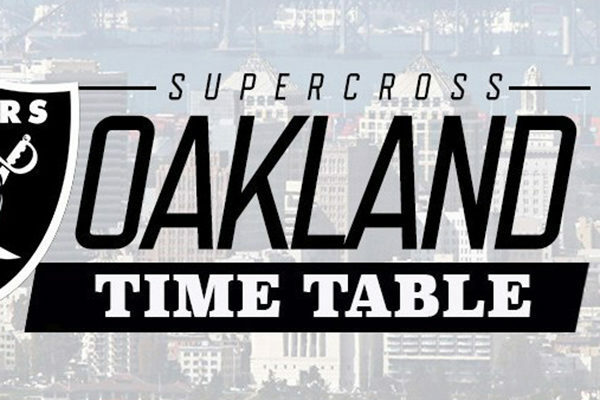 Everybody at Oakland expected to see the fourth different race winner in 2019, but the rider from Newport surprised the crowd, as he scored his second consecutive win in this season after taking the first 2019 “Triple Crown” victory last week at Anaheim. A great event for KTM, as the Austrian manufacturer took all the podium spots: Webb, in fact, crossed the finish line ahead of fellow “orange” riders Marvin Musquin and Blake Baggett. GREAT START – The n. 2 KTM rider took the holeshot by performing a great start and he went first in front of Musquin and Justin Bogle. In the meantime, 2019 450SX rookies Joey Savatgy and Aaron Plessinger went to fourth and fifth ahead of championship leader Ken Roczen, while Eli Tomac experienced one more start to forget. SAVATGY OUT – Cooper Webb immediately escaped his team-mate Marvin Musquin, while Joey Savatgy, Ken Roczen and Eli Tomac provided a great fight to the Californian crowd. Later on, Musquin made a mistake on the whoops and so he was overtaken by Roczen , Savatgy and Tomac. Few moments later, Savatgy retired due to a technical issue. BAGGETT RETURNS – Marvin Musquin found a great remedy for his early mistake: the Frenchman passed both Eli Tomac and Ken Roczen and then he started a long series of fast laps to bridge the gap on Cooper Webb. Same story about Blake Baggett, who went third after joining and passing Tomac and Roczen. MUSQUIN TRIES IT – Then, Eli Tomac went fourth by overtaking Ken Roczen, while the KTM front trio increased their advantage up to 10 seconds. 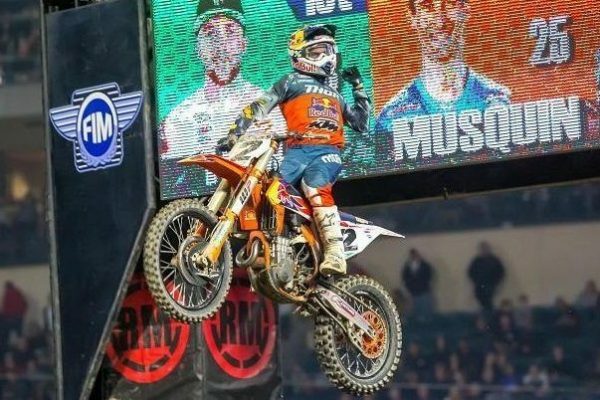 Marvin Musquin tried to pass Webb during the last lap, but finally victory went to the American, who scored his second consecutive 25-point finish after dominating most of the Main Event. WEBB BECOMES THE LEADER – Oakland triumph took Webb to first place in championship standings, as he now leads the pack with 83 points ahead of former leader Ken Roczen (81). Eli Tomac (80), Marvin Musquin (79) and Justin Barcia (72) close the top 5. The next 2019 AMA Supercross event will take place next week at San Diego.